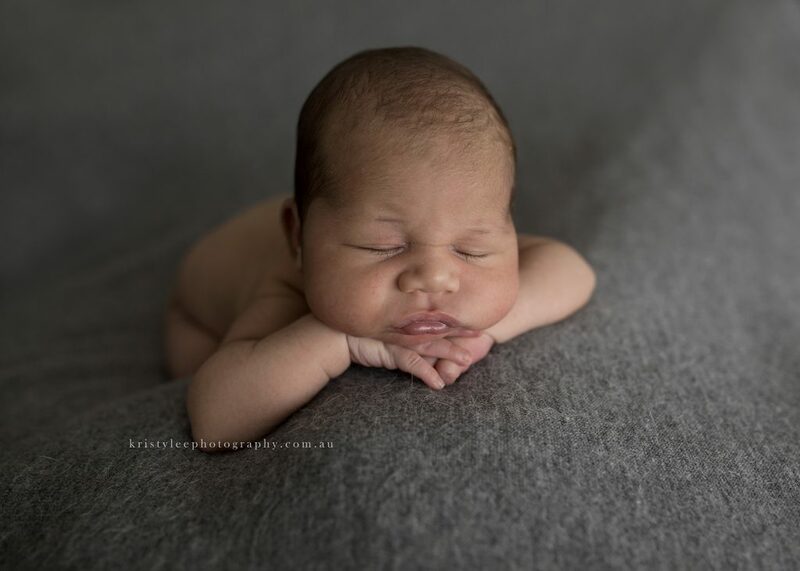 Meet Mr Ezra who totally rocked his newborn session! 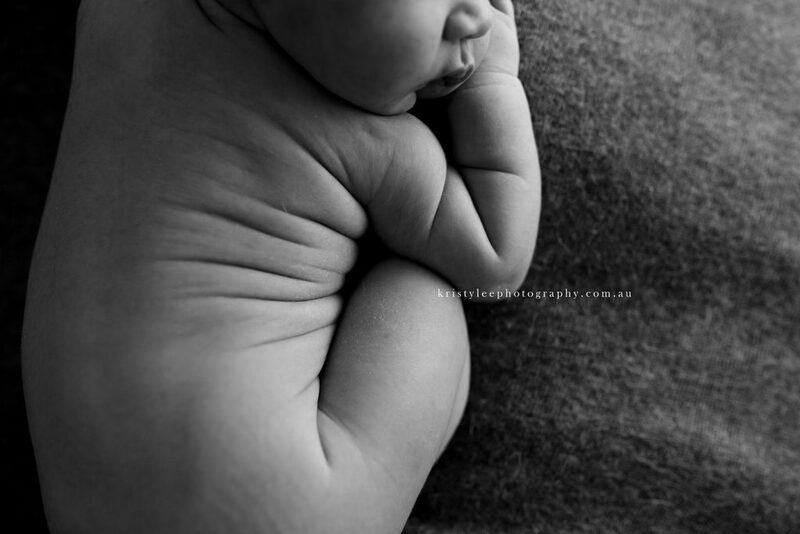 He was the most adorable thing you have ever seen with rolls to die for! 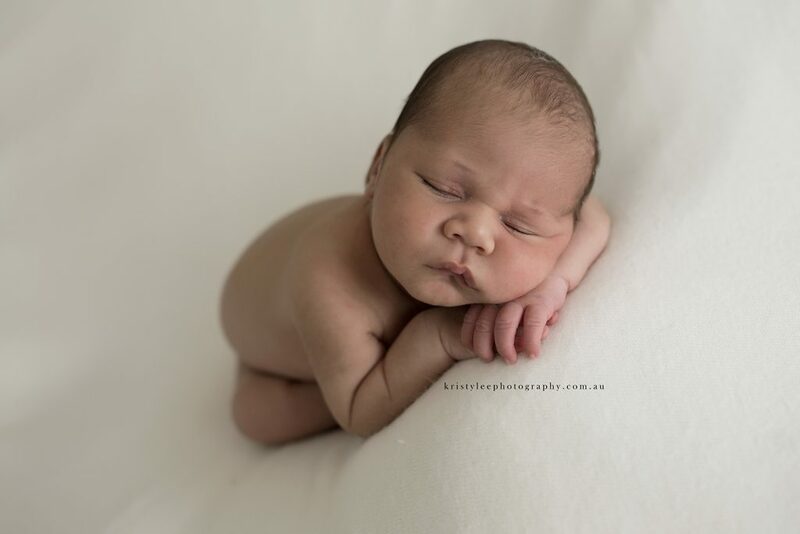 I mean rolls on babies are always adorable but combine rolls with lushious lips and fine hair eeeek. Pure perfection in every single way. 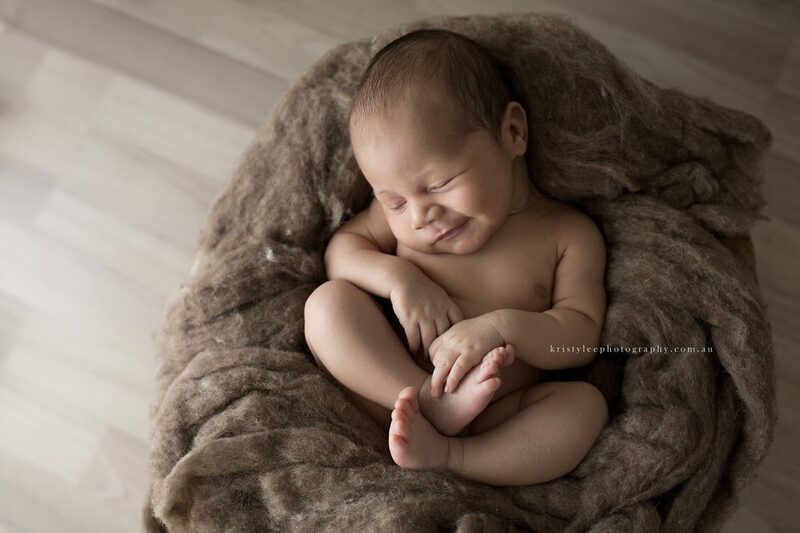 I was so excited to meet them (like any new family that comes through my door) BUT I had shot Ezra’s twin cousins as babies and I LOVE it when I get extended families coming in. It is that extra bit special and I know it sounds weird but I almost feel like a part of their extended family! 😉 I could see the family resemblance straight away. Such and incredibly beautiful family both inside and out! 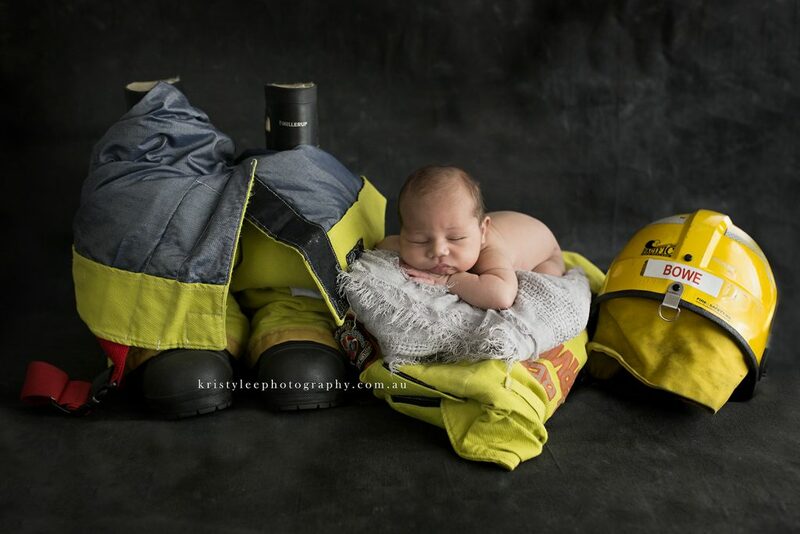 I was also super excited when Mum Ana asked if they could incorporate Dad’s firefighter uniform into the session. 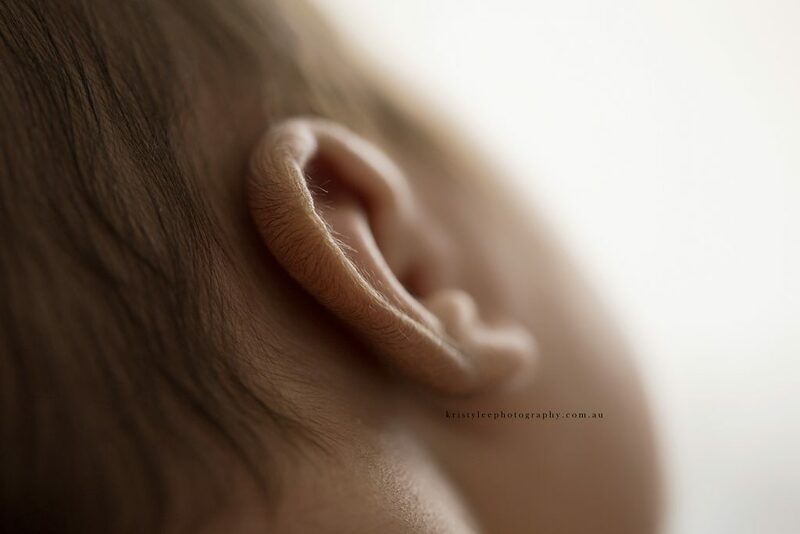 I love it when families bring along something special to them to make their session unique.